Union Minister of State for Social Justice and Empowerment Ramdas Athawale said on Monday that Mayawati should reconsider her new-formed alliance with Samajwadi Party (SP) reminding the Bahujan Samaj Party (BSP) chief of the support that Bharatiya Janata Party (BJP) gave her when she was the CM. He also said that the BJP and Prime Minister Narendra Modi genuinely care for the uplift of Dalits, which cannot come through an alliance with the SP. “Mayawati became Chief Minister of Uttar Pradesh thrice with support from BJP. 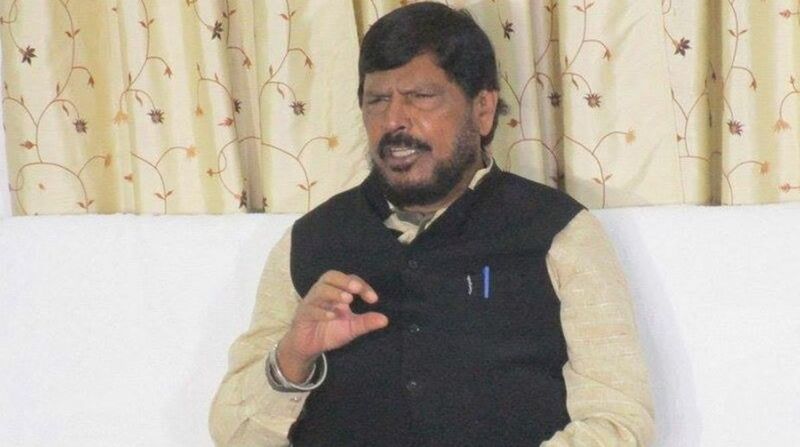 If she wants to work for uplift of Dalits, then she should consider forming an alliance with Modi-ji,” Athawale, who is the president of the Republican Party of India (Athawale), told reporters in New Delhi today. Commenting on the BSP-SP alliance, which was officially formed on 12 January in Lucknow, 59-year-old Athawale said that the tie-up “will not last long as voters do not approve of it”. Athawale’s RPI (A) is a part of the BJP-led National Democratic Alliance (NDA) government at the Centre. He represents Maharashtra in the Rajya Sabha. RPI (A), which enjoys a strong support among Dalits, has reportedly requested BJP president Amit Shah to allot three Lok Sabha seats in UP to the party for the 2019 Lok Sabha elections. Mayawati and SP chief Akhilesh Yadav had together at a press conference in Lucknow announced the formation of the alliance to take on the BJP in the 2019 general elections. “BSP and SP will contest on 38 Lok Sabha seats each. We have left two seats for other parties. We have left Amethi and Rae Bareilly for Congress, which is not part of our alliance,” Mayawati, who is a four-time CM of UP, said. In his brief address, Yadav, the former Chief Minister of Uttar Pradesh, said that the alliance was necessary to “defeat the arrogance of BJP”.